When you drive a Mercedes-Benz vehicle, you get a lot—a head-turningly attractive automobile, a performance powerhouse, a reliable roadster you can count on for years to come, and more. And for the past few years, you’ve been able to add “skilled co-pilot” to the list thanks to a suite of self-driving tech like that found in the 2019 Mercedes-Benz GLA SUV. Now, when you hear the term “self-driving,” there’s a good chance you imagine a vehicle on the open road. But one of the places where this innovative technology comes in most handy is the parking lot. In the 2019 Mercedes-Benz GLA, available Active Parking Assist is a perfect example of how this tech can take the hassle out of everyday driving. This feature relies on sensors in the bumper to evaluate parking spaces as you drive through the parking lot. Once you choose a space, Active Parking Assist is capable of steering and braking the car for you, backing it up effortlessly into the spot. Tight fit? Don’t worry—it can also steer you out when it’s time to head home. Available Active Distance Assist DISTRONIC® is another stress-reducing advance in automotive tech. This adaptive cruise control system slows down, stops, and speeds up with traffic to maintain your set speed even when the road is far from open. Sometimes, the simplest features are the most helpful. Rain-sensing windshield wipers adjust automatically to keep up with rainfall. This is only a small sampling of what the 2019 Mercedes-Benz GLA has to offer. 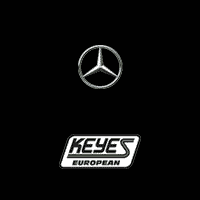 Edmunds praised the SUV in their review, saying that “…the [Mercedes-Benz] GLA combines performance and Mercedes[-Benz] luxury at the price of an average family sedan.” If you’re searching for a “Mercedes-Benz dealership near me” to give it a test drive, look no further than Keyes European Mercedes-Benz. We’ll see you soon here at our Van Nuys, CA dealership.